Victoria Hudgins of A Subtle Revelry takes on a laundry room transformation project to create a space that’s fun and fresh. Read below to find out how her Samsung appliance selections were the perfect finishing touches to the room. We recently renovated a lower under-stairs closet and turned it into a laundry room that is fresh and fun for our whole family to use. The process involved a lot of behind the scenes plumbing, wall-rebuilding and painting to make an outdated, unused storage space in our house become a hard working laundry room! 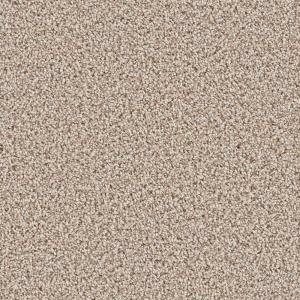 The stars of the renovation are our new washer and dryer, which work extra hard in the space so I don’t have to. We took what was a non-functional space and put in the Samsung 7.4 cu. 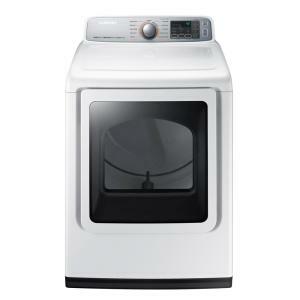 ft. Electric Dryer with Steam in white & the Samsung 5.0 cu. 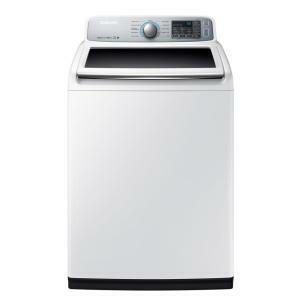 ft. High-Efficiency Top Load Washer in white, ENERGY STAR. When picking our a washer and dryer combination from homedepot.com I knew I wanted a top load option. Call me old fashioned, but the front load situation just does not work for me. Luckily, the Samsung top load line is nothing like my grandma’s washer. It’s gigantic to begin with and can fit anything from a week’s worth of kid uniforms to a full-on dog bed with no issue. It washes our clothes with quiet precision and my outfits come out looking good as new. My favorite thing about the washer is that it has Customize water levels with deep fill and deep rinse options, so no matter my load size, I know it’s doing the right thing. It also has a Speed Wash option which cleans individual or a couple items at a time, which is exactly what I need some days as our family is always on the go and often needing just that one soccer shirt cleaned before running out the door. The dryer has Multi-Steam technology which is perfect because not only does it dry, but it also steams away wrinkles, odors and bacteria which our 9 years olds and dog bring plenty of home. Plus, I love knowing we are using up to 25% less energy for every load with the EcoDry, which also saves me money. More to spend on pretty clothes to throw inside! Overall, updating our laundry space has made the daily chore much more enjoyable to me! For more laundry room transformation ideas, head over to The Home Depot Blog.